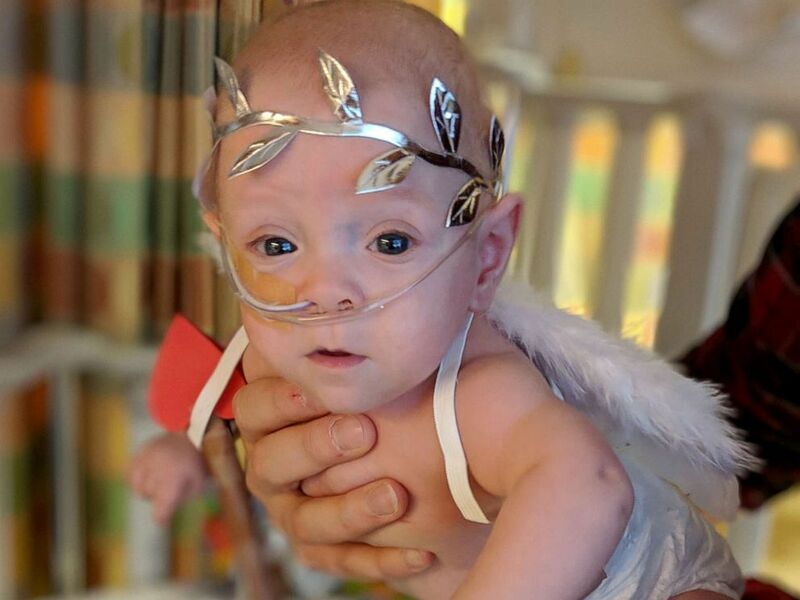 A baby born weighing less than 11 ounces, about the size of a human heart, has been sent home after spending 270 days in the hospital. "He's going really well," dad John Florio told "Good Morning America." "He's still on a couple of medications and oxygen. He's very playful, calm -- he doesn't cry very much. He loves people watching and so far he doesn't mind getting licked by the dog." 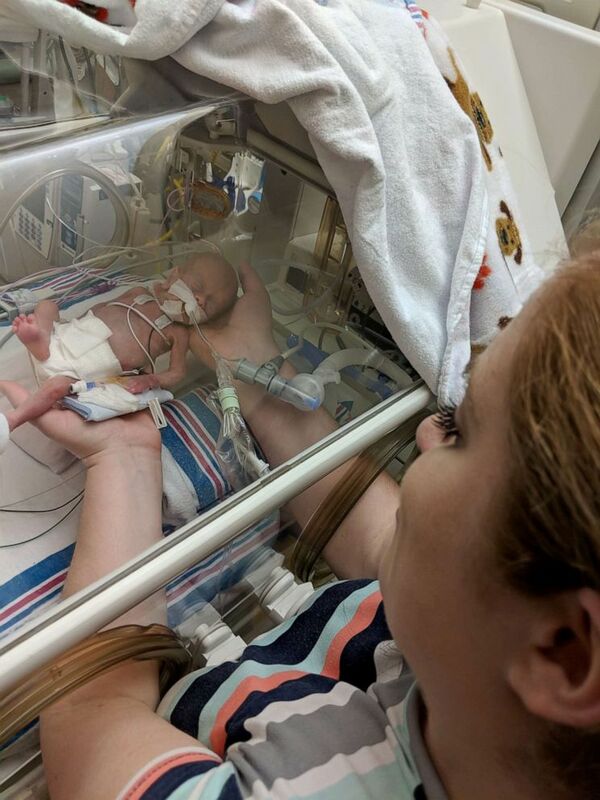 Connor Florio was born at 26 weeks on July 13, 2018 weighing less than 11 ounces. That's about the size of a human heart. 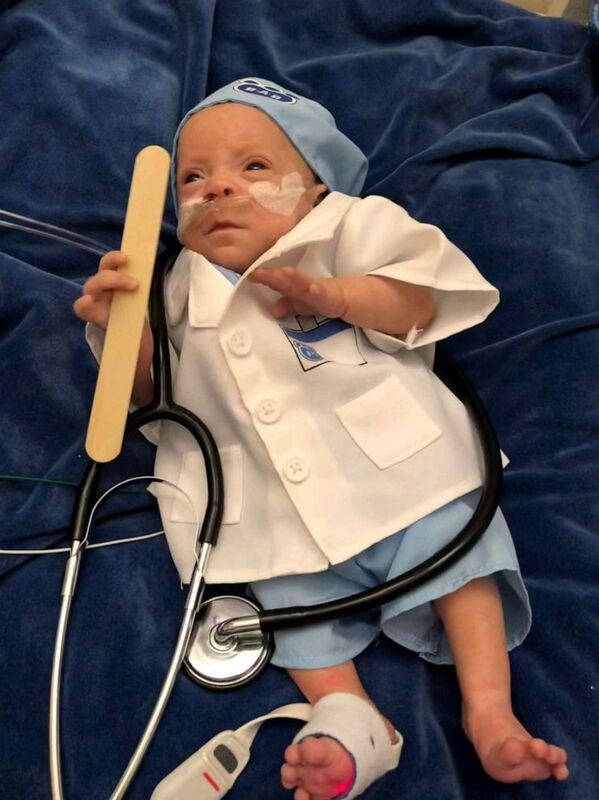 Connor Florio of Danbury, Connecticut, born weighing less than 11 ounces, was discharged from Blythedale Children's Hospital in New York, April 9, 2019. From the NICU, Connor Florio, now 8 months, was admitted to Blythedale Hospital in New York, where he gained weight. "However, Connor was less than half of the appropriate weight for a 26-week baby," Davidson said in a statement released to "GMA." "He was 310 grams which is about 11 ounces, roughly. And his father could literally hold him in his hand. Babies who are that small barely have a chance for survival but he made it through." Connor Florio, now 8 months old, survived a life-threatening situation at birth to the point where he could start rehabilitation at Blythedale Children's Hospital in Valhalla, NY. "The work at the neonatal ICU at Westchester County Medical Center, Maria Fareri , brought him from a life-threatening situation at birth to the point where we could start his rehabilitation at Blythedale," Davidson added. 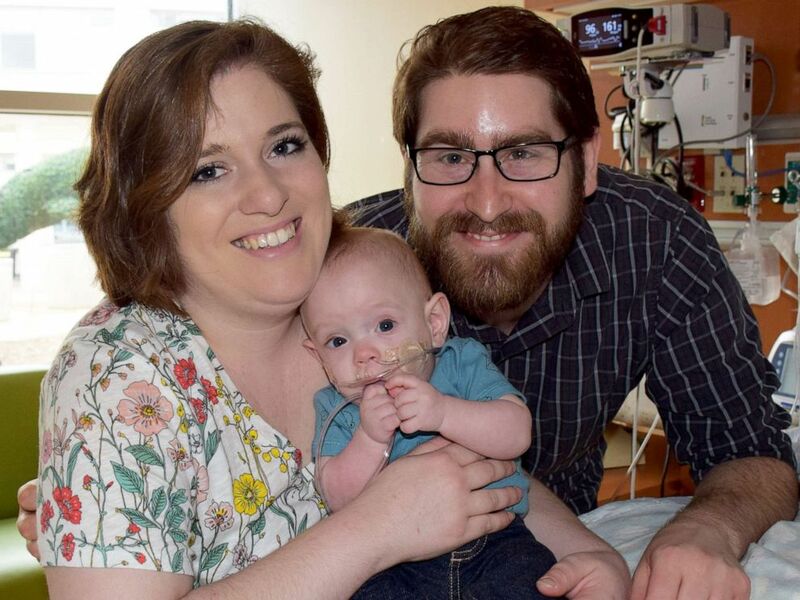 Connor's parents Jamie and John Florio Danbury, Connecticut, were told that he may not survive when first born via emergency caesarean section, July 13, 2018. It's really nice to be our own little family in almost 9 months. 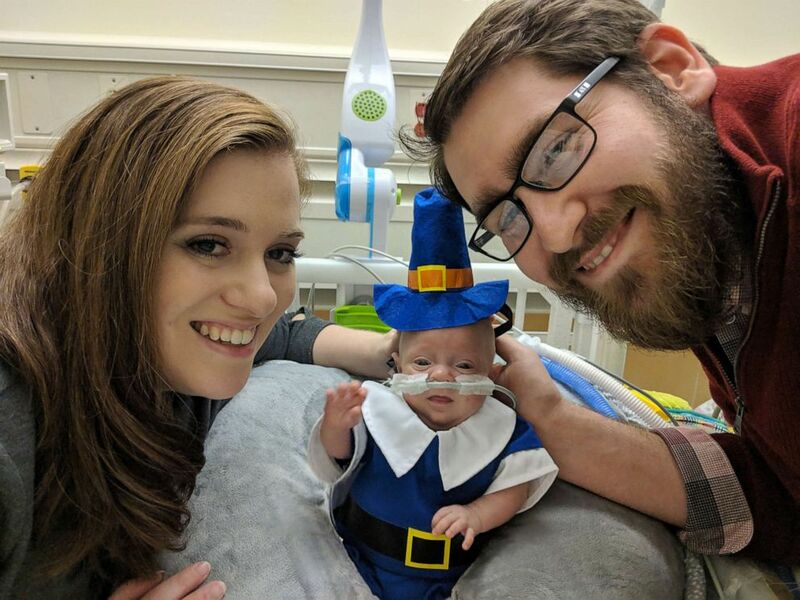 To keep their spirits up, Jamie and John Florio dressed Connor in adorable outfits for Halloween, Thanksgiving and Christmas, among other holidays. Eight-month-old Connor Florio of Danbury, Connecticut, a former 26-week micro preemie born less than 11 ounces in New York. Today, Now, Connor weighs 10 pounds, 10 ounces, and is happy to be home. "It's really nice to be our own little family in almost 9 months," mom Jamie Florio told "GMA" of her son's homecoming. "I don't know if Connor would've survived today if it wasn't for the doctors and nurses. 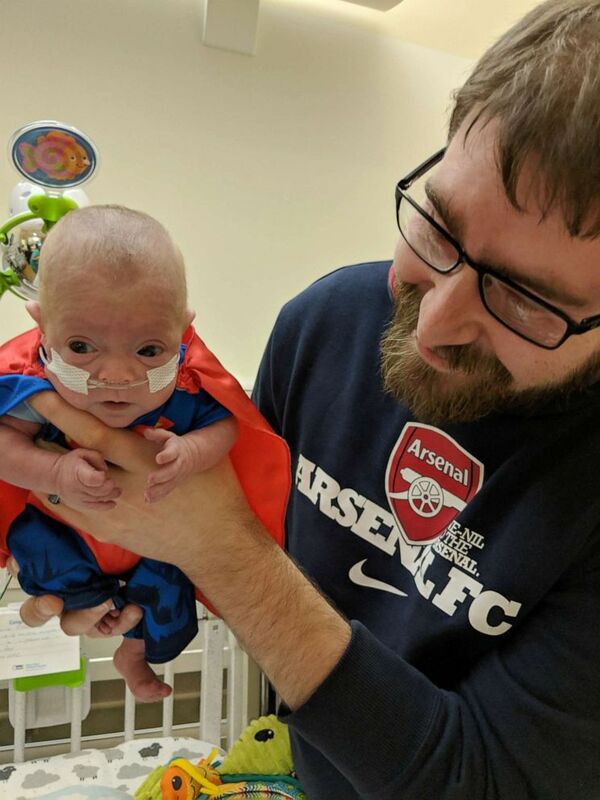 They really are superheroes in the NICU."